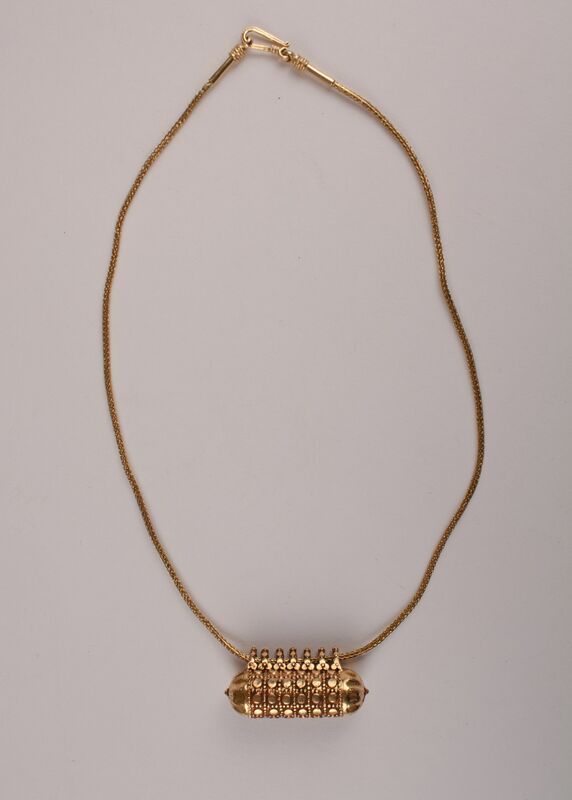 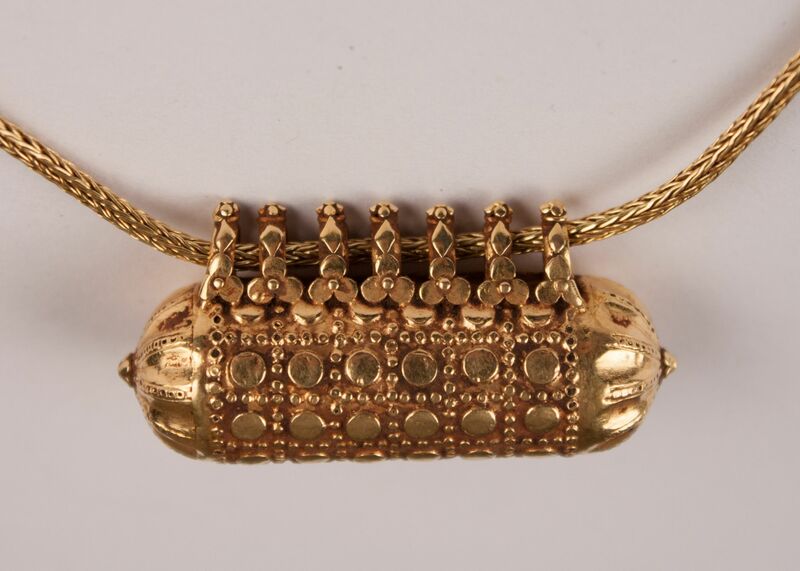 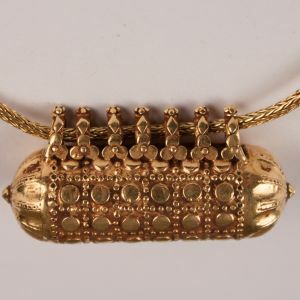 A special 18-karat gold amulet from India, circa 1950, with a pleasing patina and very tasteful granulation work, including floral details on each of the seven suspension loops. 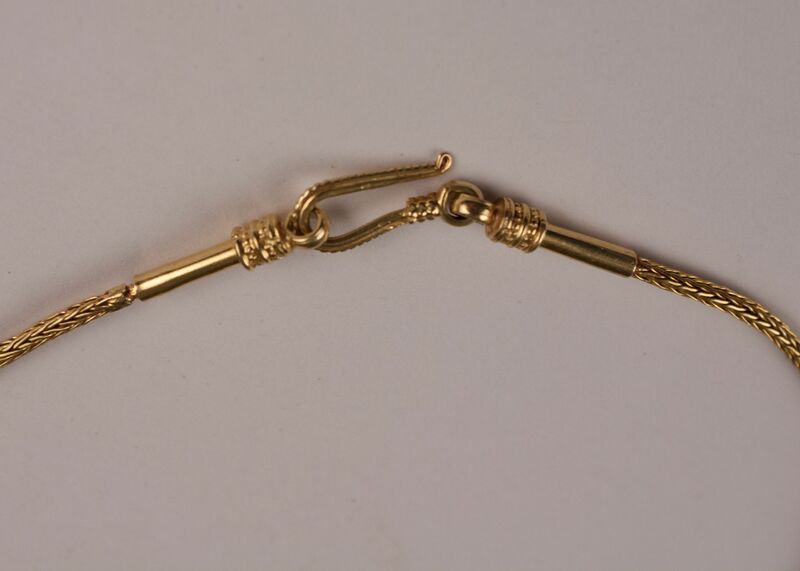 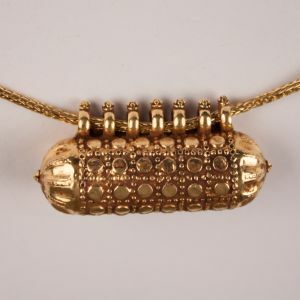 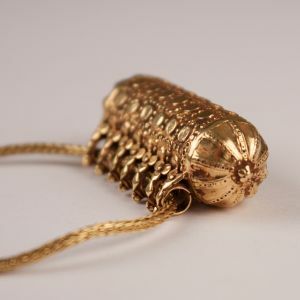 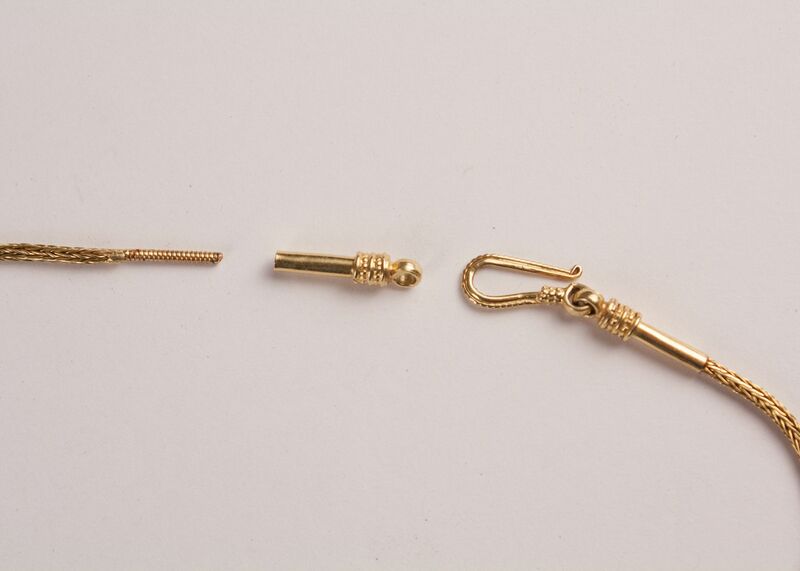 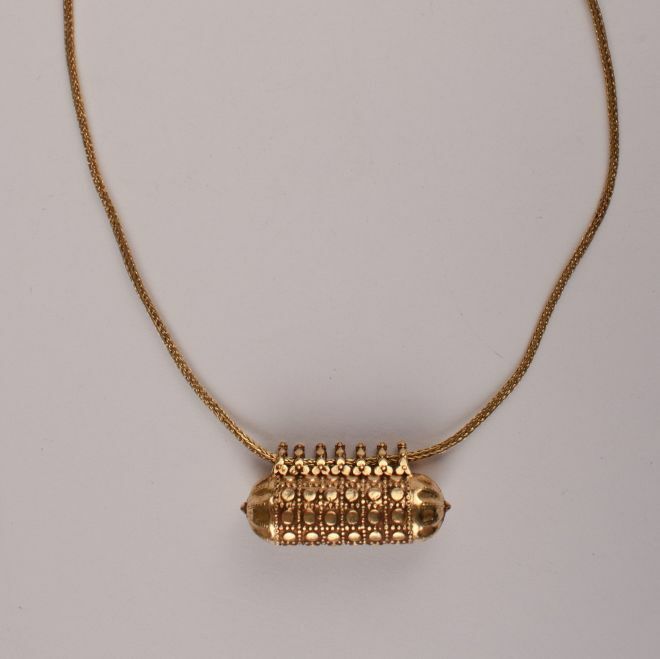 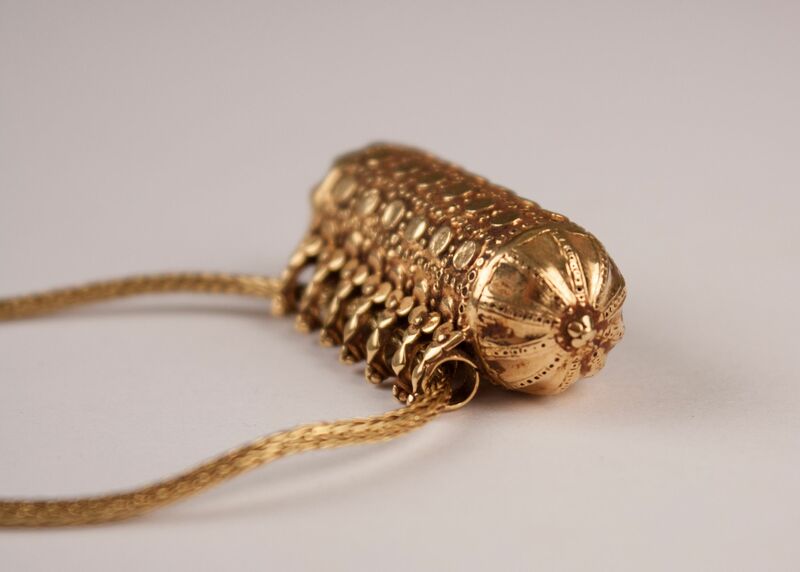 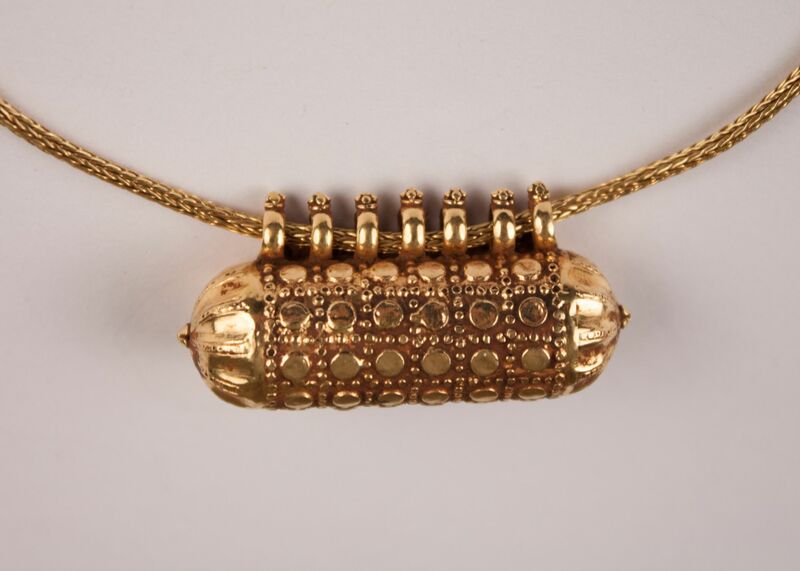 This capsule bead, which does not open, hangs from a contemporary 18-karat gold chain with an unscrewable end. 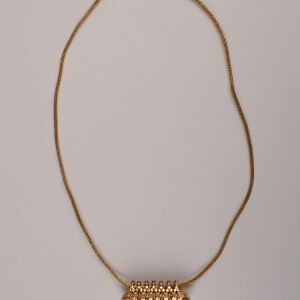 See image #7. 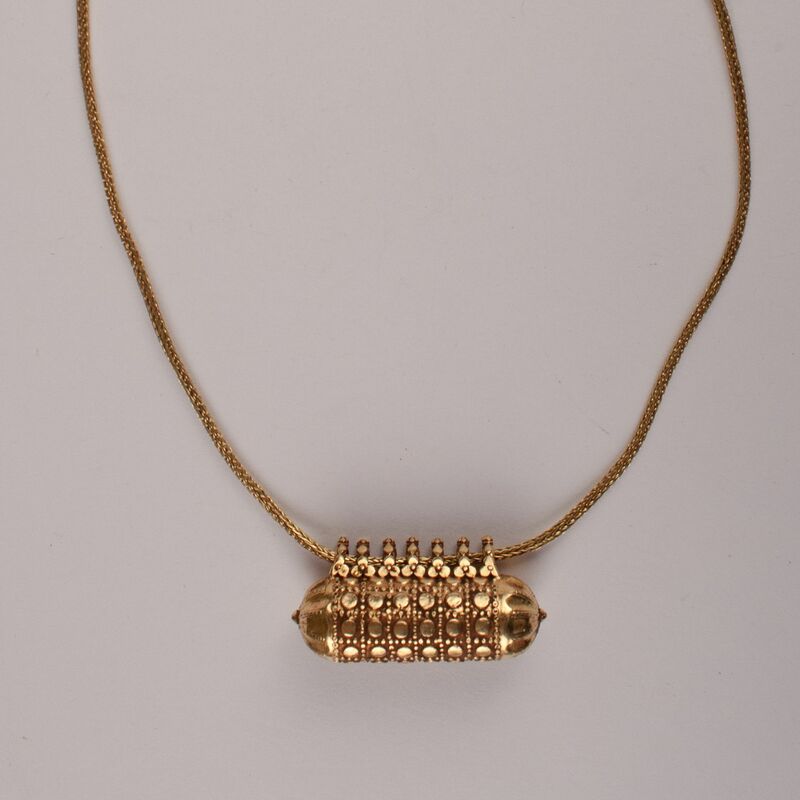 Chain measures: 16 inches. 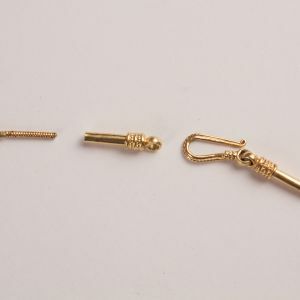 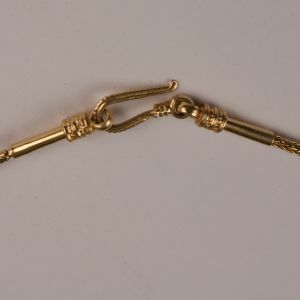 Bead measures: 1.50 inch length; .50 inch width.